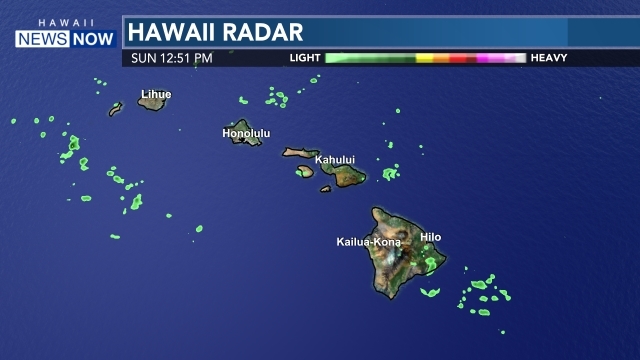 HONOLULU (HawaiiNewsNow) - Honolulu Marathon organizers are breathing a sigh of relief. Crews finished repairs caused by a broken water line on the course on Saturday. The heavy showers also eased up just in time for the race. It was fireworks, not thunder, rumbling early Sunday morning. After the severe weather a day earlier, some runners worried about the race, but they were ready to go, rain or shine. "Last night, we were like, 'Are they gonna cancel it if there's lightning and thunder?' But we're Hilo people, we can handle," said participant Lynn Brauher. 22,615 people from around the world signed up for the 39th Honolulu Marathon. Some wore costumes while others put on ponchos to stay dry. "It'll be a little wetter. There's more possibility for blisters on your feet, but it shouldn't be too bad because we are pretty much out here for the fun of it anyway, for the enjoyment," said participant Wade McDougall. "This is a lot warmer rain than what its like in Seattle so this will actually be halfway decent," said participant Kelsey John McDougall. Spectators lined the 26.2 mile course to cheer on the competitors. "I used to do it once upon a time, but then I'm too old and too tired to do it so we come here and watch every Sunday, marathon day," said spectator Al Ozaki. Each participant had a story about why they decided to enter the grueling race. "I had a baby this year and I'm trying to get back into shape, and I used to play soccer and don't anymore," explained participant Elizabeth Brauher. The night before the marathon, crews were still finishing repairs after a water line broke on Ala Moana Boulevard right along the course. Thunderstorms also threatened to swamp the race, but in the end, the marathoners managed to avoid the obstacles. After crossing the finish line, some of them rewarded themselves with a free malasada. "It was the hardest one I've done yet wind-wise. It was howling out there," said finisher Rachel Ross. "It all flew by pretty smooth, and I've been running hills over on Hilo side and it's pretty hilly over there and this was nice and flat so it was a big change," said finisher Michael Sullivan.